China is all set to make its mark in the automobile world. Brace yourself for the super car that will surely blow your mind, Youxia One. The first renderings of the car have been revealed and they are super elegant and chic. The unveiling of the prototype was also magnanimous and well executed. Although the design seems to be inspired by Aston Martin, Lexus LA and Fisker, it is classy and sophisticated by all means. The Youxia itself is expected to hit the market next year, 2016. It gets its name from its parent or manufacturer Youxia Motors, a Shanghai based company. It is a fairly new company in this sector, but appears to be quiet ambitious. Youxia One is China’s first ever electric supercar. With a 300 kilometer per hour top speed, it is a thrilling option for the adrenaline junkies who thrive on speed and adventure. There is more to it apart from the speed—it will give you a 0-100 acceleration in 5 seconds. It has a range of 250 kilometer second. Motor Management System has been designed and developed by the parent company Youxia Motors itself. It is called “Youxia OS” and its kernel is based on Android 4.4. It is said to have a central touch system like an IPad, just like the Tesla style. Apart from these specifications there are also other noteworthy features that make Youxia One an interesting new addition to the parade of high-tech cars. Youxia asserts that the staff of the company consists of ex-employees of some of the best car and other high tech companies like the GM ( General Motors), SAIC, Cisco, Baidu, Geely, OPPO and Faurecia. The first generation of Youxia One will be based on Hyundai Genesis Coupe just like how the Tesla Roadster was built on Lotus Elise. Later on Youxia will develop its own platform and chassis. Youxia also claims to be cost-effective, as it can manage a lower cost by using the shelf technology for the electric motors and batteries. These can be bought easily through E-commerce site Taobao (AliBaba’s Chinese version). 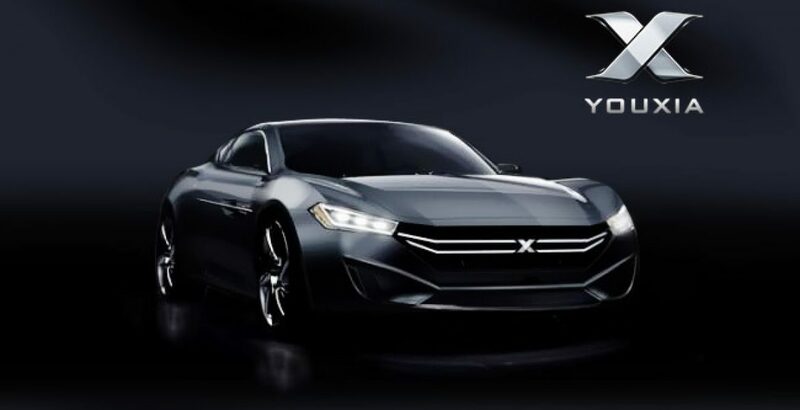 Although Youxia Motors has clearly mentioned that the first cars will be built on the Hyundai Genesis Coupe, there has been no indication if there is any kind of a deal with Hyundai. So, it is being speculated that Youxia will be purchasing Genesis from any readily available Hyundai dealer and then replacing the petrol engine with the electric motor. Also the fact that Youxia plans to build its own platform in the near future negates any long term deal with Hyundai. But it is all grapevine till any official confirmation is released by both the companies, Hyundai and Youxia. Youxia has been able to create quite a stir in the automobile market with its prototype revealed and all the promises made. People have shown keen interest in this new car and its features. It has specially garnered a lot of attention for itself through the fund raising campaign. Youxia plans to raise fund of around three million yuans or USD 482,000 from the public to manufacture its first five units. Once the cars have been run successfully in the market, Youxia plans to raise another 10 million yuans to develop its own platform, and is looking for foreign investors to aid in this goal. Youxia appears to be a very ambitious company with a definite roadmap to success. Although the ideas are smart and the techniques innovative, Youxia needs to hurry up with its manufacturing and enter the market as soon as possible. Now is the time to tap this market in China before it is too late and other companies also plan to jump in the band wagon. Albeit the Hyundai chassis idea doesn’t seem to convincing or impressive there are other features that can turn the tables in Youxia’s favor. If Youxia One is able to fulfill all the promises that it has been making in the air till now and all goes as the company has planned, Youxia One can definitely become Tesla for China.